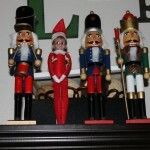 I am assuming by now that most everyone has seen the sneaky little Elves that take over homes this time of year. You probably either have one or wake up to a news feed of pictures from friends who have them! 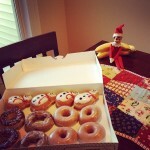 Santa sends these magic elves and the children get to name him or her whatever they like. 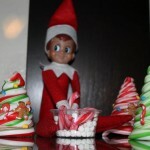 These little elves come into the homes of children to scout and report back to Santa every night! There is a no touching rule; it drains their magic! 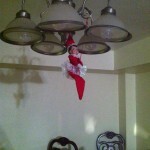 Some of the elves are very good at hiding and some them get a little naughty while everyone is tucked away in bed. These crazy elves can get themselves into a predicament or two (I can’t imagine what they get into when they are all together at Santa’s workshop)! 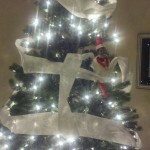 Mr. Shelfy Elfy- is a second year scout elf. His interests include: zip lining, hanging out with his nutcracker friends, and wrestling (he is pretty good, he won tickets to WWE Tribute to the Troops). In his leisure time he enjoys mini vacations to the beach or skiing! 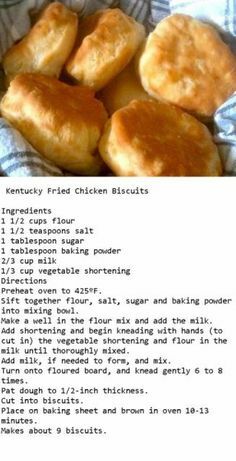 He also love to make goodies for the kids. He was recently released from the Elfispital and doing great; his magic has returned to full strength! Zack- is a first year scout elf. He has a weakness for Maple syrup and donuts! 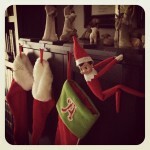 He is very good at reading and reminding everyone not to forget things (like a stocking for the new baby). 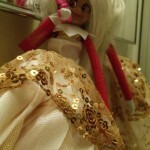 Goofilly- is a fourth year scout elf, and is in a relationship with Barbie! 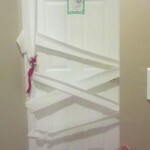 He gets a kick out of wrapping the Christmas tree in toilet paper and trapping the kids in their rooms with toilet paper. 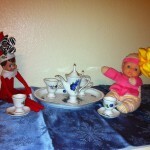 Hobby- is a first year scout elf, who occasionally enjoys a cup of tea and shares treats with the kids. 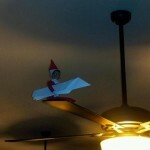 In her free time she likes to swing from light fixtures and is currently mastering using her own little potty (while reading a tiny Elf-sized book)! Lilyin Grace- is a first year scout elf who enjoys making crazy breakfasts (that include dog food, ketchup and various other silly items). She also enjoys sneaking midnight snacks of ice pops, playing dress up, and coloring pictures! 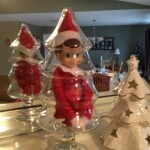 George- is a first year scout elf. His favorite pastimes are flying paper airplanes from the ceiling fan (you get better distance from up there) and playing Phase 10 with friends. 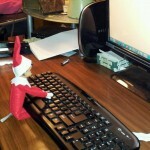 He also enjoys sending emails to Santa when he gets lonely! 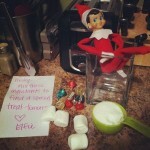 Elfie- is a first year scout elf who loves to leave notes to the kids asking them to decorate trees and plant silly ingredients in sugar (which magically grow candy canes). She is also a daredevil who likes to go slinky diving and fishing! After all that, she loves to take a nice warm shower! 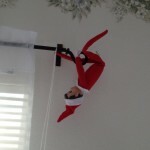 Lii-Lie- is a fourth year scout elf. He likes to relax in his favorite spot most nights (if you’re comfy, you’re comfy, right?) and pretend he is a Christmas tree! 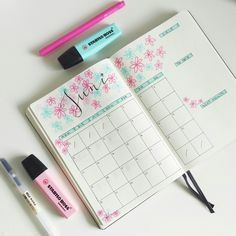 He also has a passion for gymnastics (or he could be training for Special Ops) and we know he has been drawing faces on the baby pictures (elves are not the best at covering up what they have done)! 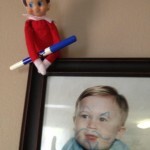 The graduating class for scout elves this year has grown tremendously, and so have their antics! 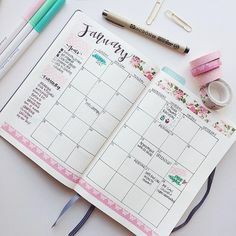 Perhaps, they are sneaking onto Pinterest while we are sleeping? 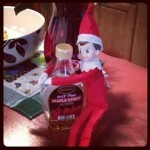 The elf adventures are quite entertaining; you just never know what they are going to get into! What is the craziest thing he has done? Zack has a sweet tooth, and was kind enough to share his treats. 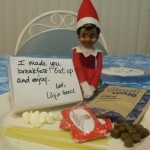 Lilyin Grace prepared breakfast, but be careful to check the ingredients first before you eat it! Lilyin Grace checks the popsicles for toxins. Hobby tries his hand at baking and crafts. Hobby taking a zip line tour of the house. Hobby dropped in for afternoon tea. 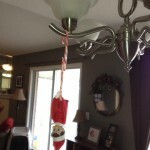 Goofilly found the regular ornaments inadequate and decided to add his own. 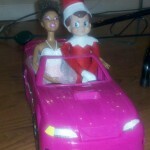 Goofilly takes Barbie out for a night on the town. Goofilly plays a prank on the kids. George decides to forgo the nightly trip to the North Pole in favor of a quick email to St. Nick. 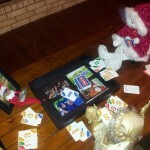 George hangs out with the gals for a game of Phase 10. 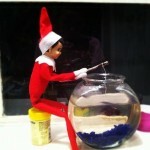 Elfie took the game “Go Fish” a little too literally. 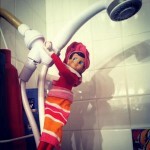 Even an Elfie has to shower. 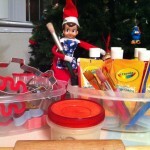 Elfie leaves ingredients behind for a surprise recipe. Shelfy Elfy blending into the crowd. 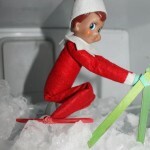 Shelfy Elfy competes in the Olympic trials in the downhill. 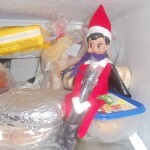 Uh-oh, Shelfy Elfy was touched by a child and had to report to sick bay. Lii-lie gets a bird’s eye view of the dining room table. Lii-lie was dislodged from his perch atop the curtain rod, but used his Special Ops training to grab the finial, preventing his magic from being stolen by the maniacal toddler who was shaking the curtains. Lii-lie gives an answer to that rhetorical question, “If you were a tree, what kind of tree would you be?” Obviously, if you’re an elf, you’d be a Christmas tree. Lii-lie found a marker and “decorated” all the baby portraits. A friend and I sneaked off during the day while my kids were at school to see the world premiere of a play. We didn’t really know what it was going to be about or how we were going to like it. We walked to the theater and talked about how good/bad it could be. 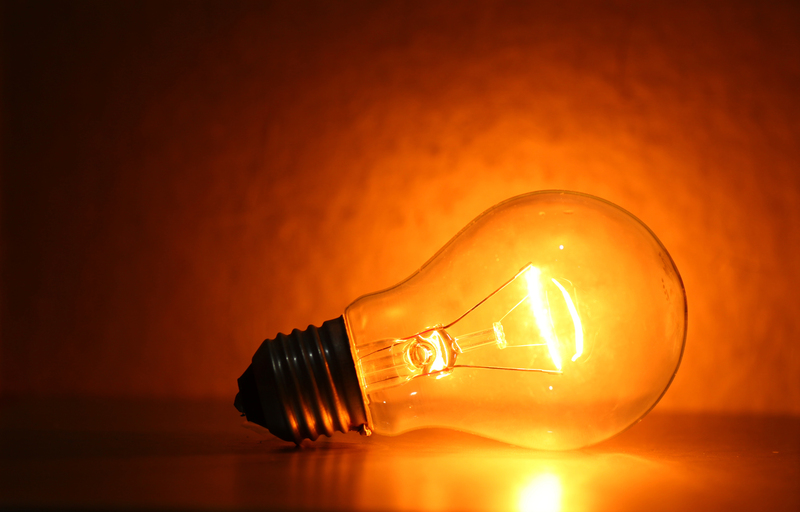 We tried to keep open minds and not to let our judgments get the best of us and ruin it! Meet Vicky, Chandra, Mrs. Yates, Jojo, Barbie, and LT Gonzalez, a group of Navy Spouses who are enduring a rather stressful deployment. 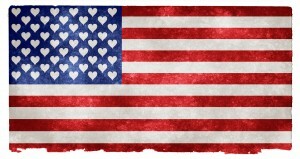 They are pulled together because of their husbands service and events that unfold throughout the different acts. I don’t want to give away a lot, because from what I hear The Comfort Team is trying to go national – which means that you may all have the opportunity to go see it. If you do, then you should! It was better than I could have ever expected. 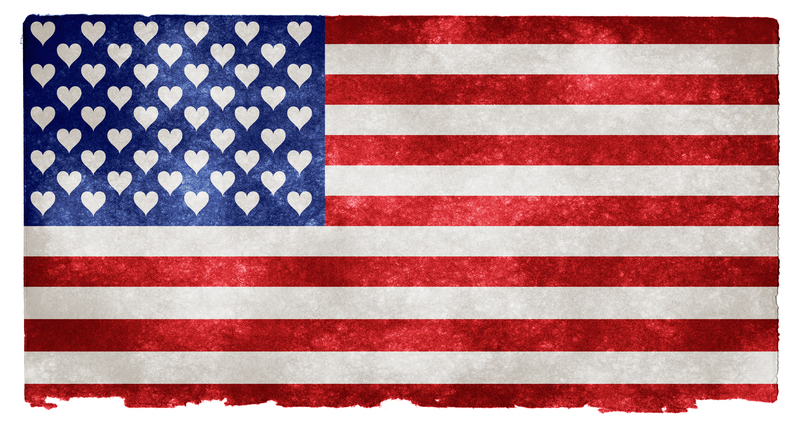 The Comfort Team incorporates someone from just about every stage of the journey as a military spouse. From the newlywed, to the seasoned. The Admiral’s wife to the Seaman’s. Yet, somehow they all pull together and we can clearly see that there is a common bond amongst all of them: fear. Fear of not knowing, fear of knowing too much, fear of losing, fear of not losing, fear of everything from the balance of the bank account to the knock at the door. 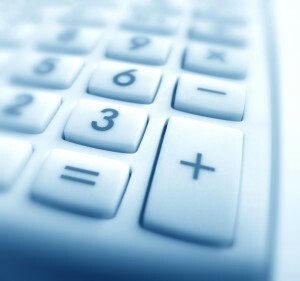 There was much-welcomed comic relief mixed in to add that humorous aspect of this ever changing life. I think that we as military spouses grow to love and expect it, that moment when things get too serious and someone chimes in with an off-the-cuff inappropriate joke to lighten the mood. 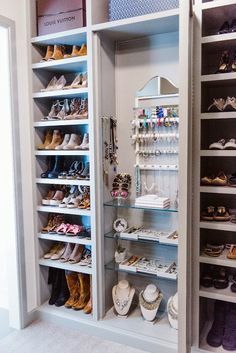 After all, one of my favorite things about military spouses is that even when it seems their worlds have caved in around them, they still manage to find some part of it funny. So, for whatever it is worth, I give The Comfort Team my stamp of approval. The nailed it. They truly got it right. They kept me thinking, and definitely threw a few curve balls that I did not see coming! 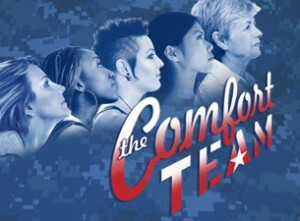 Pick up the phone and call you local theaters and tell them to bring The Comfort Team to you! 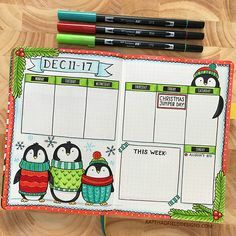 Did you already see it? If so, tell me what you thought.